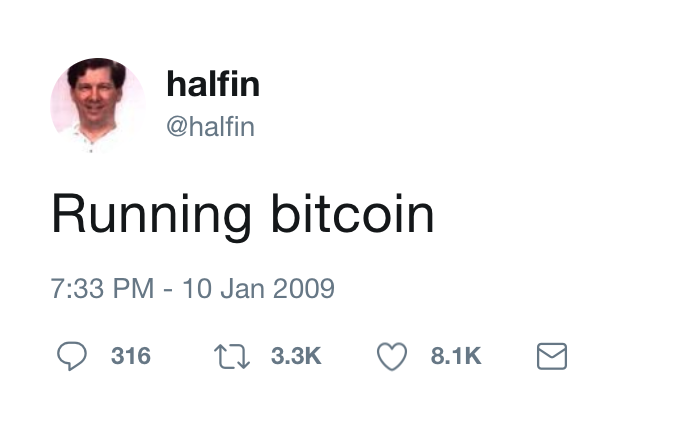 Home/Cryptocurrency/10 Year’s Since Hal Finney’s ‘Running Bitcoin’ Tweet. RIP Great Man. Thank You. The ‘killer ap’ for crypto.